Some years ago I purchased a Porta Paddle II iambic paddle kit from American Morse Equipment. It’s a nice solid compact paddle. I purchased it primarily to use mobile while operating in state QSO parties. The last couple of years I’ve also used it for a few SOTA activations. After a while I started having intermittent keying problems where I’d miss an occasional dit. The paddle uses the hinges/pivots for the ground connection. I also have an Elecraft KXPD3 paddle for my KX3. The KXPD3 has similar construction and exhibits the same intermittent problem as the Porta Paddle. 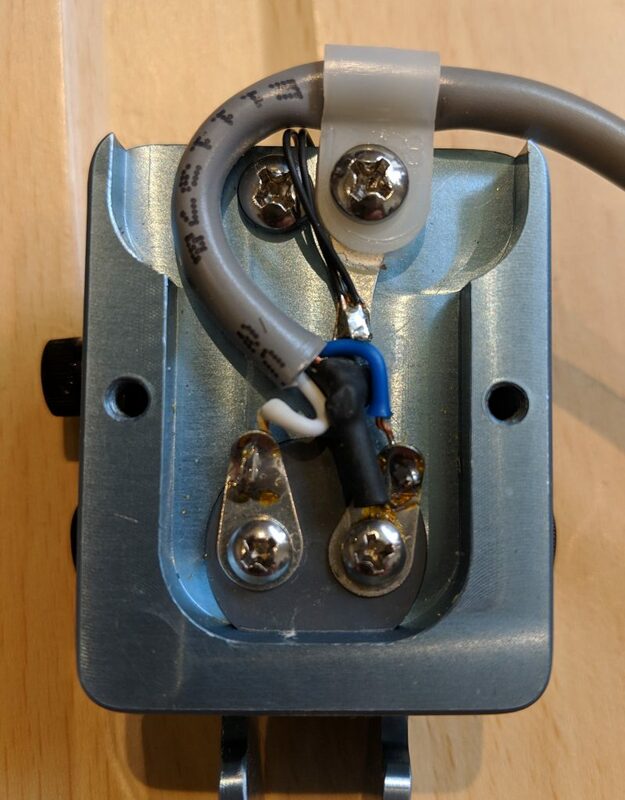 The solution to the KXPD3 problem was to run a fine wire from each paddle to the ground connection. I did that mod to my KXPD3. Since the modification to my KXPD3 solved the problem I applied the same fix to my Porta Paddle. It was an easy fix and no more intermittent keying. The only drawback with the way I did it is the paddle tension is no longer easily adjusted. 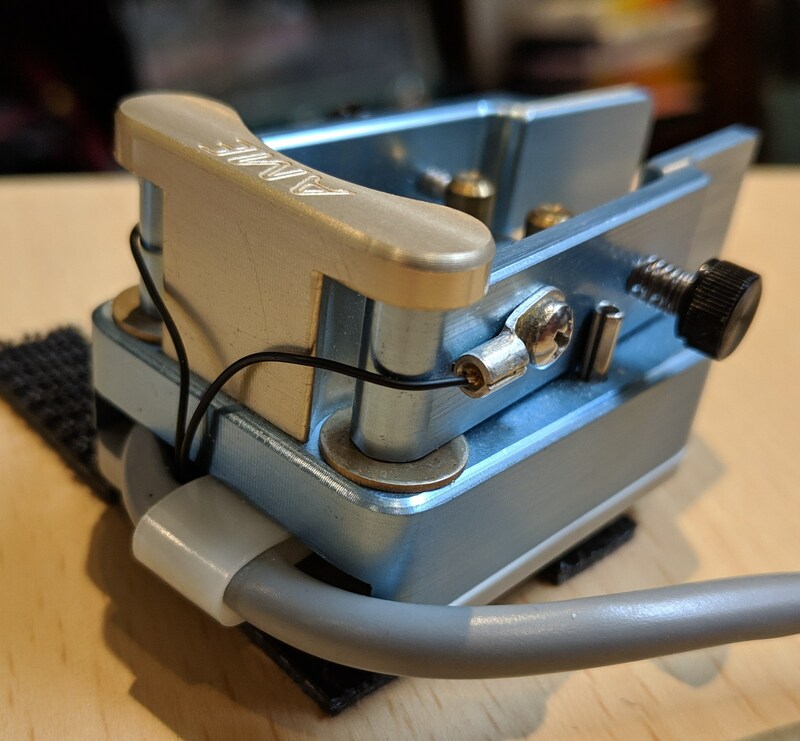 This same mod would apply to other American Morse paddles that use a similar design. I’ve owned a US Tower MAB-550MDP crank-up tower since about 1990. This is a 55′ tubular crank-up with motorized winch and positive pull down. My current QTH is the fourth location I’ve installed this tower. It’s been up at this location since 2002. I purchased a Hickok 800 tube tester at an estate sale in the Fall of 2017. In looking for documentation I found Stan Saeger’s “Consolidated Test Data For Hickok Model 533A-600A-605A Tube Testers” pdf file at http://saegerradio.com/. It’s my understanding the Hickok 600A tube test data also applies to the 800 and 800A models. I have two Astron SS-25M and two SS-30 switch mode power supplies (SMPS). A couple of years ago one of my SS-30 supplies quit with no voltage out during Field Day. Later one of my SS-25M supplies had the output voltage drop to 6 – 8 volts. About a year ago I took a look at the SS-25M to see if I could figure out what was wrong. After a little while with no success I gave up and put it away. For a couple of years I’ve had problems with the CMP/PWR encoder on my K3. When I needed to reduce power to use my amp or increase power back to 100 watts I’d have to twist and twist the power control. 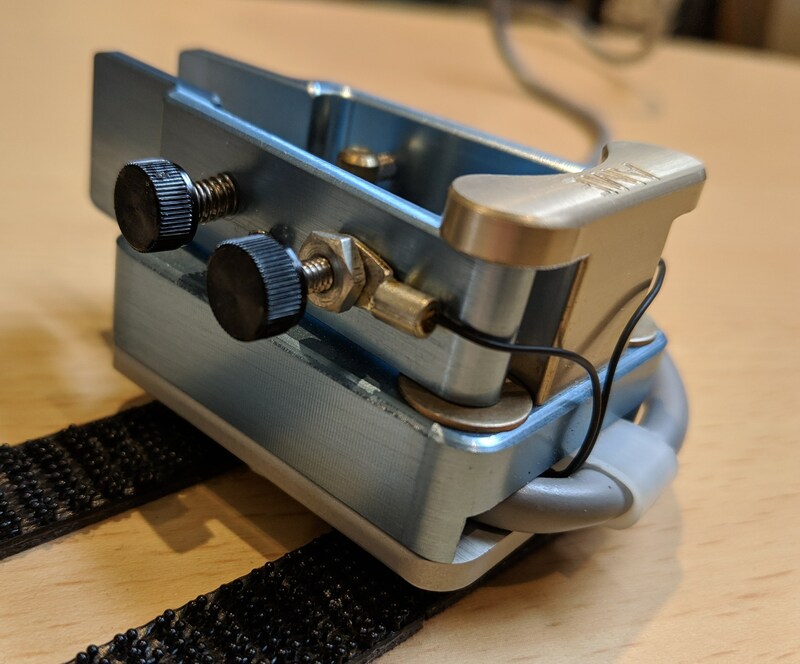 Recently there was a thread on the Elecraft reflector of someone else having problems with one of their encoders. That prompted me to finally replace my faulty encoder.